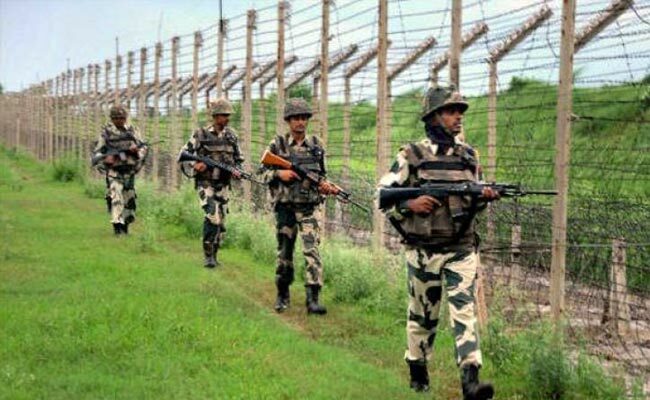 The BSF has been ordered to keep a close watch on the 856-km-long India-Bangladesh border in Tripura. This is to prevent entry of unwanted elements into the state. Assembly elections in Tripura are due early in 2018, an election official said. Tripura chief electoral officer (CEO) Sriram Taranikanti, held a meeting with top Border Security Force (BSF) officials regarding the close watch on the border. “A meeting was held with Inspector General (IG) of BSF couple of days back. All polling stations along the border were mapped using Global Positioning System (GPS). I hope close vigil will begin in the coming weeks”, Taranikanti told the press in Agartala. Sriram Taranikanti said central paramilitary forces would arrive in the state soon. Centre has agreed to send security forces as required by the Election Commission. He said Indian voters living on the other side of the barbed wire fencing along the border would be able to exercise their franchise without any problem. The fencing was erected 150 yards away from the international zero line to adhere to Indira-Mujib pact, 1971 and border management agreement signed in 1975. “We had 3,170 listed polling stations in Tripura. Our exercise revealed that their average distance from nearby habitations was high, so we decided to reorganize. To reduce distance and help ease in voting, 44 more polling stations would be set up in Tripura for 2018 assembly elections. After reorganization, all polling stations would be located within a range of 3.5 km from nearby habitations. “In total, 3,214 polling stations would be utilised in assembly polls this time”, Taranikanti said.